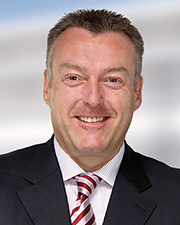 WEST SENECA, NY Andreas Wiggenhagen takes the helm at Kemper System America, Inc. as CEO, overseeing operations across the U.S., Canada and Mexico. He is based at the company’s headquarters and retains his role as co-director of the global Kemper System Group. As managing director of Kemper System GmbH & Co. KG, Wiggenhagen has been involved with Kemper System America since first joining the parent company in 2009. He also helped to establish the first U.S. manufacturing operations in 2010. “The U.S. is at the cutting edge of architectural design, and the construction market is both vibrant and demanding. Our goal is to build on our core strengths in liquid-applied waterproofing and coating systems and to find new ways to drive value for architects, building owners and contractors,” Wiggenhagen said. In recent years, Wiggenhagen has been at the vanguard of integrating new digital media tools across the global organization. “Digital channels do speed communications and enhance customer support, but we want to give our customers the best of both worlds. --When it comes to building trust and long-term relationships, there is no substitute for face-to-face communications,” he said.